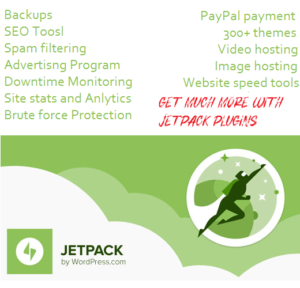 There are over 54k free plugins on the WordPress Plugin Repository right now with hundreds of thousands of premium plugins available across the web. However, not all of them are successful. There are only a few plugins with an amazing number of downloads and 5-star rating reviews. Wondering what does it take for a plugin to be successful? Here’s what you should do for building a successful WordPress plugin. If you’re building a plugin that doesn’t solve a real-world problem or fulfill the existing demand of users, it is totally useless and will definitely lead to great failure. websites. Ideally, the plugin that you’re going to develop should either make WordPress easier to use or more powerful. A successful WordPress plugin is the one that delivers users an excellent experience. It is often seen that some developers keep the plugin functionality first and treats users experience as secondary. This should not be the case when you’re developing an awesome plugin. As a matter of fact, user experience should be the foundation of your code, not vice versa. No matter how feature-rich your plugin is, if it doesn’t possess a great design, it will likely fail to capture the attention of users. Actually, the way your plugin looks and feels play a vital role in the user’s decision to use or not using the plugin. Since a great design is not only the first thing that a user interacts with but also is a foundation for pleasurable user experience, try to keep your plugin design as clean and modern as possible. guidelines nor have the rock-solid code. Due to buggy code or compatibility issues, sooner or later, such plugins turn out to be a great failure. So if you want your plugin to be successful, make sure it is in full compliance with the standards and guidelines defined by WordPress. As a professional WordPress developer, you should understand that no one will download and install the plugin at first to check out how it functions. Users are lazy and they don’t want to understand the work process of your plugin through screenshots. Hence, you should create a live demo site or page to help users more easily and better understand how the plugin works. You can even create a video overview of your plugin on how to use it. Just like any other product or service, your plugin also needs to be well-documented. This will help users easily understand what the plugin does and what remarkable benefits it can bring to their sites. As nobody knows your plugin better than yourself, you should provide thorough documentation to your users so they don’t have to struggle getting started with the plugin. To be on the better side, keep a copy of the documentation everywhere, from FAQ to knowledge base. When you’re a novice WordPress developer, it is recommended you not start with direct plugin sales in the beginning. Since users tend not to trust new resources on the market, the chances of your plugin getting successful are quite low. Rather, you should start with reputable marketplaces, like CodeCanyon, which already have a big audience. As soon as you get there, you’ll be able to immediately gain traction with thousands of users. Users give developers a lot of feedback – in the form of comments, emails, and support requests. You should never ignore it because this is one of the best ways to understand how you can improve your plugin, what features users are expecting from your plugin and what problems users are facing with your plugin. So always listen to what people are saying about your plugin and improve it accordingly. A successful WordPress plugin is the one that comes with great customer support. Whether it is a free plugin or premium plugin, you should Always provide great support via email or live chat to solve users’ plugin-related queries. annoyed users into the most satisfied reviewers with 5-star ratings. Just because your plugin is released doesn’t inevitably mean that your work is over. As most of the users evaluate the quality of a plugin on the basis of ratings, the total number of downloads and the last time it was updated, you need to endow your plugin with new features and keep it up-to-date with the latest WordPress version. Finally, promote your new plugin as much as you can. Optimize your WordPress plugin’s page or site with targeted keywords for search engines and promote the plugin through YouTube videos. Also, run some giveaways or promotions and you can even do guest posting on WordPress related blogs. The more you make your plugin visible to people on the web, the higher are chances of it being successful. 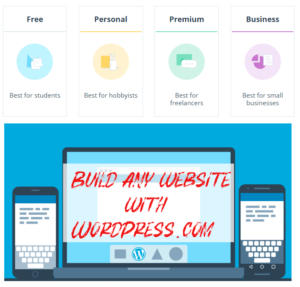 Next Next post: What is WordPress and How to use it?